WordPress database connection problems are common when installing, upgrading or even migrating a WordPress blog or website. There are several other scenarios were MySQL database connections can fail, and they can all be solved in the same easy way. In this article we will explain in step by step format how to easily troubleshoot and solve WordPress database connection problems. WordPress is a PHP web application that stores all the information in files and in a MySQL database. Images and other media related content are saved as files in /wp-content/uploads/ directory, while all other content and information, such as blog posts, links, usernames and passwords are stored in the MySQL database. When installing WordPress you have to specify the database name, database username and password, and the hostname of the MySQL database server in the wp-config.php file, as per the example below. When you encounter the “Error establishing database connection” error message, most of the times the issue is related to one or more of to the above mentioned entries, such as a wrong host, wrong username or password or wrong database name. It could also be a user rights issue, i.e. the configured user does not have access to read from or write to the WordPress MySQL database. 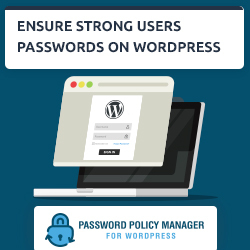 WP White Security.com security tip: When creating a MySQL database for your WordPress, create a dedicated user with read and write permissions to the WordPress MySQL database only. Never use the MySQL root account for such operations. 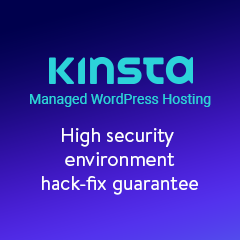 If the error ‘Error establishing database connection’ is showing up instead of your WordPress blog or website, first check that the host, i.e. the MySQL Server address is correct. Once you confirm that the host is correct, confirm that the MySQL username and password specified in the wp-config.php file are correct and that the user has access to read from and write to the WordPress MySQL database. Below are the two test procedures explained in detail. Download the WordPress MySQL database connection test tool from here. Once you change the details, save the changes and upload the file to your WordPress using an FTP client. Navigate to the file URL uploaded on your website to start the test. E.g. if you uploaded the file dbtest.php to the root of your website, the URL is http://www.yourwebsite.com/dbtest.php. Successfully connected to MySQL database server. 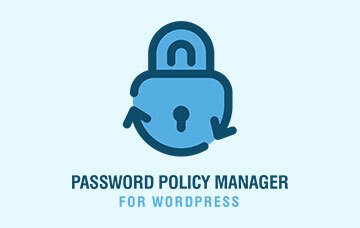 This means that the host, the credentials to access the WordPress MySQL database and permissions are correct. If you get any other error message, refer to the below list of error messages for more information on how to solve the issue. This means that the Host you specified is not correct, or the MySQL database server is down and unreachable. If you are not sure about which host you should use for the MySQL server, contact your hosting provider. Same as above; MySQL Server is unreachable. 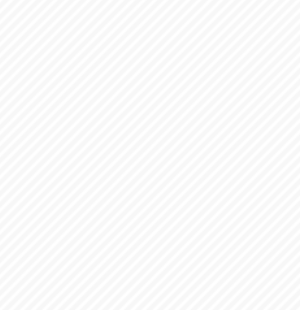 This means that the username or password you are using are incorrect. To solve this issue, login to your hosting provider control panel and make sure you copy the correct username. If you are not sure what the password is, from the hosting provider control panel or from the PhpMyAdmin web interface, change the password for the database user. Note: Before troubleshooting WordPress MySQL database user rights, first you must be able to successfully connect to the MySQL Server. So before troubleshooting any errors in the second line, the first line should be should always be ‘1. Successfully connected to MySQL database server’. This means that the database name you specified does not exist on the MySQL server. In this case the database name is wrong. Refer to the hosting provider cpanel to get the correct database name. The above error means that the database exists but the user you specified in the WordPress configuration file wp-config.php does not have access to read from the MySQL database. In this case you have to give permissions to the user to be able to access the WordPress MySQL database. You can do so from the hosting provider control panel or from the pypMyAdmin web interface. My WEB was going to normal again…. Do you have your own server where MySQL is installed or are you using shared hosting? If you are using shared hosting, then contact your hosting provider. If you have your own server, connect to the server using SSH, login to MySQL command line tool and run the command mysqladmin flush-hosts to flush any open connections. Hope the above helps. If you are unable to solve it, drop us an email on help@wpwhitesecurity.com and we will assist you. Good luck with the move. Just drop me a mail on robert@wpwhitesecurity.com if you need any assistance or get stuck. How to install wordpress by using SQL Server.. i need Guide to install? If you encounter any problems drop me a mail on robert@wpwhitesecurity.com. We have extensive experience on Windows servers as well. Thanx for your help and support. I’m a graphic artist & photographer – NOT a programmer. I’ve created a WP site and uploaded the files to the server but keep getting the ERROR Establishing a Database Connection. I’ve updated all config files to no avail. The requested URL /dbtest.php was not found on this server. I obviously have no clue what’s going on.. Most probably you are not specifying the correct database, username, password or server IP in wp-config.php file. That is the most common problem especially while setting up WordPress the first time. Confirm the database connection details with the hosting provider if need be. As regards the test file dbtest.php it seems you are uploading it to a different location from where the website is. Hope the above helps. Should you have further queries or need assistance just drop us a mail on support@wpwhitesecurity.com. I tested my credentials with your dbtest.php. It shows that all is OK but I still getting the same error. I enabled debug https://codex.wordpress.org/Debugging_in_WordPress but saw nothing new in web browser, and logs wasn’t created. Thank you for following our blog. Unfortunately it is very difficult to determine the problem remotely. If you’d like us to help you with solving your problem contact us on support@wpwhitesecurity.com. It seems that the MySQL server is not listening, i.e. it is switch off. The credentials are not a problem since else you would get a credentials related error. Can you check if the MySQL server is listening on localhost? In your case it seems to be a problem with the MySQL server uptime, i.e. in some cases it seems it is not available. It could be a network problem or load problem. I would recommend you to check with your hosting provider. Creating a new db user with full rights worked for me! Thanks! Such error means that or the MYSQL server is not responding or it is listening on something else rather than Localhost. You might need to check that with your hosting provider. Thank you for sharing great guideline. it is really helpful for me. My site has also faces same problem and able to solve through your guideline. i appreciate for you. 1. Successfully connected to MySQL database server. However, all other pages show the “Error establishing a database connection” message. Thank you for following our blog and welcome for your comments. If the tool works the WordPress installation should work. To start off with can you confirm that the connection details you’ve configured in the tool are the same as those in the wp-config.php file? Robert, thank you very much for keeping this post alive and answering our questions. Yes, the DB credentials are identical in the wp-config.php and the test tool. I also uploaded the brand-new wp-config.php with correct DB details; no avail. It is not a new installation. The site was perfectly fine for years, when suddenly at no actions from my end it gave the “Error establishing a database connection”. I’m lost for causes. Do you have any advise? Technically speaking it should work and offhand I do not have any recommendations. If you want drop me an email at robert@wpwhitesecurity.com so we can look further into this, i.e. give me remote access etc. Recently, I started a new website and install wordpress on it. But, now it is showing “Error establishing Database connection ” and it appears and after 1-2 minutes site works normal again. It occurred 3-4 times, I don’t know it happened by mistake or there is any need to do something. If the problem is intermittent, then the database details in the wp-config file are correct. The issue seems that your MySQL server is not available all the time, hence I would recommend you to speak to the hosting provider. This can also be caused by a DOS attack ! If the database server (MySQL) stops responding before the web server, yes it can. Well said.